The Town and Country Planning Act places an obligation on Local Planning Authorities (LPA) to make adequate provision for the preservation and planting of trees when determining planning applications. LPAs are also directed by a government policy framework that highlights the importance of good design, green infrastructure and the importance of natural habitat – all of which are relevant to trees. 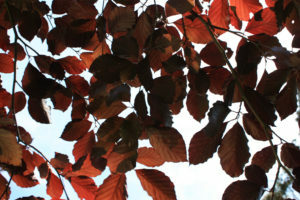 In addition, the British Standards Institute publishes detailed recommendations explaining how trees should be managed in relation to design, demolition and construction. Planning applications must therefore demonstrate a meaningful rationale for both existing and new trees if they are to succeed. MHP Arboriculture appreciates the complex nature of achieving this sustainable balance between trees and new development. In the first instance, we will set out to understand your requirements and provide initial advice to move things forward. Later, we can prepare a detailed package of information in accordance with British Standards, to support your planning application and give it the best chance of a favourable outcome. Once planning permission is granted we can, if necessary, assist with implementation and auditable monitoring of tree protection. We will visit your site and gather detailed information about the trees that are present in accordance with British Standards recommendations. We will draw this information together on a plan to illustrate which trees can be removed and replaced, plus which trees are more important, and how they function as constraints to development. We will work with you to develop the collaborative process of design. Our view is that it is far more efficient to identify and iron-out potential problems in the early stages of a project than to have to try to fix them later on. As part of the package of information to support your planning application, we identify and evaluate the extent to which proposals will impact on trees. Our AIA is an objective process and identifies ways to minimise or compensate for harm, typically by using protection measures or carrying out new tree planting. On the basis of the AIA, we produce a plan to illustrate that the tree proposals are feasible. The TPP will show that key trees can be protected and retained to enhance the completed proposals. The TPP will also show suggested locations and other details for new tree planting. We will produce a straightforward working document that can be used on site by your Site Manager to explain how to effectively implement tree protection. This information may also be required by a Local Planning Authority (LPA) to be approved before any work can start on site. Depending on the importance of the trees on your site, we can also provide a Clerk of Works service to ensure ongoing advice and to monitor the continuing effectiveness of tree protection. The role of Arboricultural Clerk of Works can also help to ensure that new tree planting is a success. 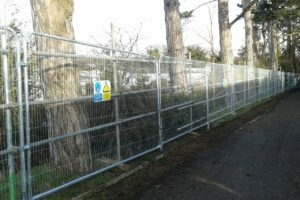 Unfortunately, despite the best of intentions, planning permission can still be refused because of a Local Planning Authority’s concerns regarding harm caused to trees. In such cases, applicants have a right of appeal to the Planning Inspectorate. We can assist with written representations or, if necessary, with the provision of expert witness services at Hearings and Inquiries. In cases where we have not been previously involved, we can help by reviewing the details of your application to provide a preliminary opinion on the likelihood of a favourable outcome at appeal. The findings of this assessment will enable us to assist as detailed above.